So, a lot of topics were actually brought up in this episode which I intend to explore further in the future. Of course, there is the unnamed Chaos-proof Black Comet material, the entire reason that Eggman is involved in this event. Then there’s the general relationship between humans and animoids that King briefly mentioned. There’s also general aftermath of the Black Arms invasion, though that has been touched upon already. Lastly, there’s Shadow’s mention of his faulty memories of the events of Sonic Adventure 2. Ever since the end of Shadow the Hedgehog, it has been heavily inferred that Shadow at least has a very good idea of his life before the ARK was shut down 50 years ago, and this is supported by the thorough flashbacks he’s had of that time period. But the only memories he’s ever been shown having of Adventure 2 were a couple of brief, confusing images brought about by going to the exact place where he spent much of his time in that game. And really, he’s had no need to remember any of that. It just seems likely to me that his personal memories of those events are spotty at best, only filled in by descriptions from Rouge and Sonic. It should only follow that he still holds some resentment towards having such an important event in his life be outside his reach. Exactly which memories he does and doesn’t have, I intend to examine much more closely in the coming series. In case you couldn’t tell, this episode was pretty difficult for me to write, took much longer than average. It’s full of way too many scene breaks, which is an indicator that I’ve run out of things to say for any given time period, and need to skip ahead. Anyways, going into this episode, I was strongly expecting it to be the final of this arc. But by the time Sonic and Shadow had broken out of their chains after that long conversation, I realized that I was pretty much out of time, so I quickly came up with a few extra scenes to help fill in the remaining episode-and-a-half. I suppose I should probably mention the fact that Shadow is the Black Cloak. I would hope that I’ve already explained it way too thoroughly within the super long conversations within the story, but in case you’re still confused, I’ll still gladly explain my thought process. It was a thought that I had long before the concept of the Chaos Project. I thought, “We haven’t seen Shadow in a really long time. I wonder what he’s doing with his life?” Though I had done a little bit of research into Sonic 06 at the time, I don’t think it had really dawned on me that Shadow was already working for G.U.N.. But my thoughts, the answer to my question, was “He would probably want to work towards fulfilling his promise of making a better future, in a way that only he can, and likely in a way that puts him as far away from Sonic as possible (thus why we don’t ever see him).” And who goes out alone, using special abilities to help people while trying not to be discovered? Superheroes! (I know, that joke wasn’t even funny the first time.) Point is, I decided that Shadow’s personality, past, and powers would very likely lead him to become a superhero. It sounds so silly, but it just makes sense. And making him an edgy, Batman-style hero wasn’t a hard connection to make. Anyways, when I first started conceptualizing what would become the finale arc of the entire Chaos Project, one of the many included concepts was Shadow’s return to being the Black Cloak for a brief period of time (it was only at that point that I had come up with a name for him, and even then I wasn’t sure about it). And when I decided to expand the Chaos Project backwards to include what is now Season 0, I knew that it was an absolute necessity to include a Black Cloak origin story. Thus, this arc was born. The first order of business was to get Shadow out of the military, since it would be very difficult for him to do both of these things at the same time. It just so happened to work out perfectly that I needed Shadow to help develop Sonic’s character during Speed of Time anyways, and it was very easy to add in a lead-in to this arc, which even helped inspire the setting of said encounter (I originally imagined it in an outside area where Sonic would hit a tree instead of a wall). All in all, things have been working very well for me in the way of accidental perfect planning, and I’m very glad to be having each of these arcs leading into each other without requiring the reading of any other arcs to understand, nor too dramatically impacting the story of each individually. Wow, this was a long one. One last thing to mention is that, until literally the very last moment, this episode was intended to be called “The Shadowed Knight,” a reference to “The Dark Knight,” a Batman movie, but I decided that I didn’t like that title, so I just turned this into the first part of what was originally going to be the single-part finale episode of this arc. I was also a little afraid that that title would spoil the contents of the episode. Okay, that’s all, I promise. And I didn’t even get to mention my thought process behind King. Maybe next time. But this time, thanks for reading! 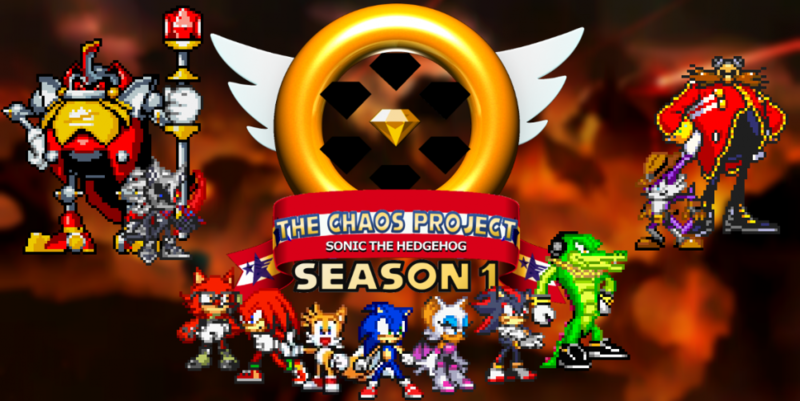 This entry was posted in Episode Review and tagged Batman, Black Arms/Aliens/Creatures, Black Cloak Arc, G.U.N., Rouge the Bat, Shadow the Hedgehog, Shadow the Hedgehog (2005), Sonic Adventure 2, Sonic the Hedgehog, Space Colony ARK, Speed of Time Arc, The Black Cloak, Wolfric King by Chaos Project. Bookmark the permalink.